Free plugin that connects Adobe Lightroom with Koken for effortless, instant photo publishing. The Koken Publish Service for Adobe Photoshop Lightroom provides one way syncing between Lightroom and Koken. Setup collections, add images, and publish. A single click inside Lightroom creates web-optimized images from your Lightroom originals, uploads them to Koken's Library, then updates your live site. Publish albums and images directly to your Koken site without leaving Lightroom. Exports and assigns Lightroom titles, captions, keywords, plus the image's embedded IPTC and EXIF metadata. Replace uploaded images with new versions anytime local edits are made. Exported image size control to keep published images under an assigned size. General image export supported for non-synced images. Adobe Photoshop Lightroom version 3.0 or higher. Lightroom plugins are loaded from outside the application, so it's a good idea (if you don't have one already) to create a "Lightroom Plugins" folder (or whatever you'd like to name it) somewhere convenient on your local hard drive. Your operating system's "Documents" folder is a good place. Once you have the plugins folder ready, move to it the "koken.lrplugin" folder from inside the ZIP archive you downloaded. Launch Lightroom and select File > Plug-in Manager from the top menu. The "Lightroom Plug-in Manager" window will appear. At the bottom of the left column click the "Add" button. Navigate to the aforementioned Lightroom plugins folder and select the "koken.lrplugin" folder you just moved. Click OK and Lightroom will install and activate the plugin. Click the "Library" link in Lightroom's main navigation (top right). At the bottom left column will be a "Publish Services" area with Koken being one of the available services. Launch your web browser and sign-in to your installation of Koken. Click "Settings" in the main navigation, then "Applications" in the left column. In the main area will be a row labeled "API Path" (see below). Copy this path to your clipboard. Return to Lightroom. In the "Publish Services" section (bottom left column of Lightroom's Library) click the "Set Up…" link to the right of "Koken" (see below). The "Lightroom Publishing Manager" window will open. Click the "Log in" button in the right column's "Koken Account" section (see below). A dialog will appear asking you to authorize the plugin by entering a "Koken API path" (see below). Paste into this field the path you copied from Koken, then click the "Authorize" button. Your web browser will launch a new window to the Koken console. Koken will notify you that an application is requesting access to your setup. Click the "Grant access" button (see below) to authenticate the plugin. Once granted you may switch back to Lightroom, where a new dialog will be displayed. Click "OK, I'm done" (see below). To finish, click "Save" at the bottom of the Lightroom Publishing Manager window. The plugin is now all setup and ready to go! Now that the plugin is installed, let's talk about how it works. Koken's Publish Services plugin allows you to create an ongoing relationship between an original image in your Lightroom Library and a web optimized copy of the same image in Koken's Library. Once an image has been published using the service, Lightroom tracks any changes made to the original and allows you to publish the image again to Koken. This updates the existing image in Koken instead of creating a duplicate. Changes made to images inside Koken do not filter downstream to Lightroom, so any changes to an image or its data should be made to the original in Lightroom (then re-published, as explained below). Right click on the Koken Publish Service. In the menu will be options for "Create Album", "Create Smart Album" and "Create Album Set" (pictured below). "Create Album" creates a regular ol' album for adding images by hand. "Create Smart Album" creates an album that automatically adds images using rules. "Create Album Set" creates a set for grouping multiple albums together. All three will create matching albums and sets in Koken's Library. You will also see a collection labeled "Library" (pictured below). This collection correlates with the root of Koken's Library. Only add images to "Library" that shouldn't be part of an album. When ready, drag and drop images from Lightroom's main Library interface or the Filmstrip at the bottom of the app to the albums you setup. You're now ready to publish! Click on any collection in the Koken Publish Service. At the top of the main area will be a Publish button (pictured below). This button is enabled whenever there are new or modified images in the collection available for publication. Click Publish and the new photos added to the collection will be uploaded to Koken. Anytime a published image is edited in Lightroom you may replace its copy in Koken. Click on a collection in the Koken Publish Service and the middle column will group together any images that have been modified locally but not updated in Koken under a header labeled "Modified Photos to Re-Publish" (see below). Click Publish and the modified images will replace the images uploaded previously. Always keep in mind that syncing with the Koken Publish Service is one way. Meaning, if images are removed or edited inside Koken, those edits do not migrate downstream to Lightroom. So if you need to remove an image or album from Koken that was published by Lightroom, select the image inside the Publish Service collection and press the Delete key (or right-click and choose "Remove from collection"). Lightroom will group deleted photos under a "Deleted Photos to Remove" header (see below). Click the Publish button and the images will be removed from Koken as well. Image metadata edited in Lightroom is recreated in Koken when images are uploaded. The following is a list of all Lightroom metadata and what each correlates to in Koken. To read more about metadata export, click the Settings link at the bottom of this article. Once your content has been published to Koken there are things you'll probably want to edit in Koken that go beyond what Lightroom provides. Here's a suggested list. Images are published to Koken in the order in which they appear in the Koken Publish Service. If you are publishing an album of images, and need to change the order in which they appear on your site, you should select the album in Koken's Library then drag/drop the images into your preferred order. Updating the album later with additional images won't affect your edited order. Lightroom supports album titles only, so if you want to publish descriptions and/or summaries for a published album you should select the album in the Koken Library (click on its title in the left column), then add a description/summary in the right Inspector column. Here's a rundown of each available setting. The values assigned here are used for each and every image you publish to Koken using the plugin. Changes the label that appears to the right of "Koken" in the Publish Services panel section. If the description is empty, your Koken Account username is displayed. The installation of Koken this publish service instance is authenticated with. Here you can click Update to change installation authentication, if necessary. The file names of your original image files are used by default, but if you have a particular naming scheme you'd prefer to use with Koken, you can set that up here. Checked by default so videos are published if added. Always keep "H.264" as the value of Video Format so videos are compatible with Koken's video player. You should always export the highest quality JPGs possible, so Image Format is disabled. Keep the Quality slider set at "100". If you need to control image file size and dimensions on export, that's coming up next. This allows you to control the size at which images are exported to Koken. Normally images are exported at the same dimensions as their originals, but you may edit this to make exported images smaller to help cut down on server disk space. If edited, we recommending checking the Resize to Fit option, then selecting "Long Edge" from the drop-down. Ensure that Don't Enlarge is also checked. In the "pixels" input underneath, enter "2048". Your exported image will then be the same size as Koken's "huge" preset, which will be large enough for all desktop displays as well as 2x Retina/HiDPI resolution tablets like the iPad. Koken applies sharpening to published images, so we don't recommend applying additional sharpening on export. Keeping this unchecked will prevent sharpening from being applied twice. To see Koken's sharpening settings, go to Settings > Image Publishing inside Koken and uncheck the Use default settings checkbox next to the Quality/Sharpness label. Metadata is included with all exported images by default. This includes titles, captions, keywords as well as EXIF and IPTC. Which metadata is included in exported images is handled through the Metadata settings shown below. All metadata - (Default) All metadata is included. Copyright Only - Includes only IPTC Copyright metadata in the exported photo. Copyright and Contact Info Only - Includes only IPTC Contact and Copyright metadata in the exported photo. All Except Camera Raw and Camera Info - Includes all metadata in the exported photo except Camera Raw and EXIF camera metadata such as Exposure, Focal Length, and Date Time metadata. From Koken's perspective, both Copyright... options are effectively the same (no metadata). Koken has its own License media setting (Settings > Uploading) which is not affected by the image's copyright. If you want to strip any/all metadata from the images you upload, select either one of these. The final All Except option is Lightroom's attempt at a middle-ground. While it does retain more metadata than the others it also removes important data like timestamps (used for Date Captured in Koken), so it's useful only in very particular circumstances. In general, we recommend that most publishers maintain the default "All metadata" setting for best results. Remove Location Info - Removes GPS metadata from photos, even if All Except Camera Raw and Camera Info or All is chosen from the menu above. Write Keywords as Lightroom Hierarchy - Inserts a pipe (|) to indicate parent/child relationships. Koken doesn't support keyword sets, so it's best to leave this off. While we're on the topic of keywords, a note about where they come from. Finally, watermarks. Here you may apply a watermark to each exported image. If you're interested in applying watermarks we recommend checking out our Image Watermarks plugin instead of using Lightroom for this. Why? Because watermarks applied in Lightroom are destructive and would be used with every image Koken publishes from your exported original. You would also have to re-publish all your images if you decided to change your Lightroom watermark at some point in the future. For that reason we recommend those users interested in watermarks to use our plugin instead for greater flexibility and options. Here are a few additional tips and suggestions to help you get the most out of the plugin. As explained in our visibility guide, all imported media, albums and sets have their own visibility setting. Everything is public by default, which means the content is visibile to the general public and search engines. If you would like to publish content that only select clients, friends, or family may see, you should publish unlisted content. If you've already exported an album from Lightroom to Koken, change the album's visibility in Koken's library to unlisted. Every image you publish to that album from Lightroom from that moment on will be marked as unlisted. If you want all content to be unlisted, go to Settings > Importing inside Koken and change both Visibility settings to "Unlisted". All content you publish from Lightroom will then be unlisted. 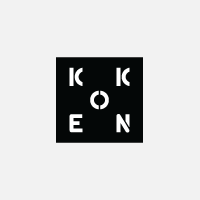 You may use the Koken Publish Services plugin with more than one installation of Koken. Right click on the Koken Publish Service and select Create Another Publish Service via Koken. This will add a new, unauthenticated copy of the Koken Publish Services plugin for you to authenticate with your other Koken installation. Basic image export is also supported. You would use this if you wanted to upload a non-synced image to your Koken Library. To export an image, select File > Export from Lightroom's main menu, then select "Koken" as the "Export To:" value in the drop-down. Adjust your image settings, then click Export at the bottom. The image will be uploaded to your Koken Library. Right click on any image that's been synced with Koken and you'll see a View published photo option. Click it and your default web browser will launch and load the image on your site. To check which version of the plugin you currently have installed, go to File > Plug-in Manager in Lightroom. Click on Koken in the left column. At the top of the right column will be the version number of the plugin you are using (see below). If your plugin is older than the one at the top of the this document, click the Show in Finder (Mac) or Show in Explorer (Windows) button in the Plug-in Manager (see above). A window will appear containing the "koken.lrplugin" file you installed previously. Close the Plug-in Manager and quit Lightroom. When Lightroom is shut down, delete the "koken.lrplugin" file the Plug-in Manager exposed. Next, download and unzip the latest plugin from the top of this document. Move the new "koken.lrplugin" file to the exact same directory the older plugin was in. Click Update Catalog. When finished you're ready to go. Improved error reporting when uploading or album creation fails. New uploads now match the visibility of their parent album. Improved error reporting when the Koken installation is not available or uploads fail. Fix type error when removing images from some albums. Images now properly removed from Koken album when removed from the collection in Lightroom. New albums now properly adhere to Koken's default visibility setting. Resolves several issues surrounding images that reside in a collection and in the main Library. Improved behavior when uploads fail. Album information is now recorded before content is uploaded to prevent duplicates. Fixed an issue that prevented albums from republishing after they had been removed from the Koken interface via a web browser. Fixed API connection issues on some servers. Resolved an issue that prevented connections to Koken installations over HTTPS. Improved set management to prevent collection structure issues in Koken. Store Koken ID in Lightroom's photo metadata. When an image is added to another collection, the existing image is used instead of adding a duplicate to Koken's library. The public URL for the image is now used for the "Go to published photo" action. If the metadata option is set to anything other than "All metadata", tags are no longer sent with the uploaded images. Plugin now works for simple exporting as well as publishing. Keywords to Koken tags fix. The "Last upload" menu in the left column of Koken's Library now reflects uploads that have been committed using the Lightroom plugin.